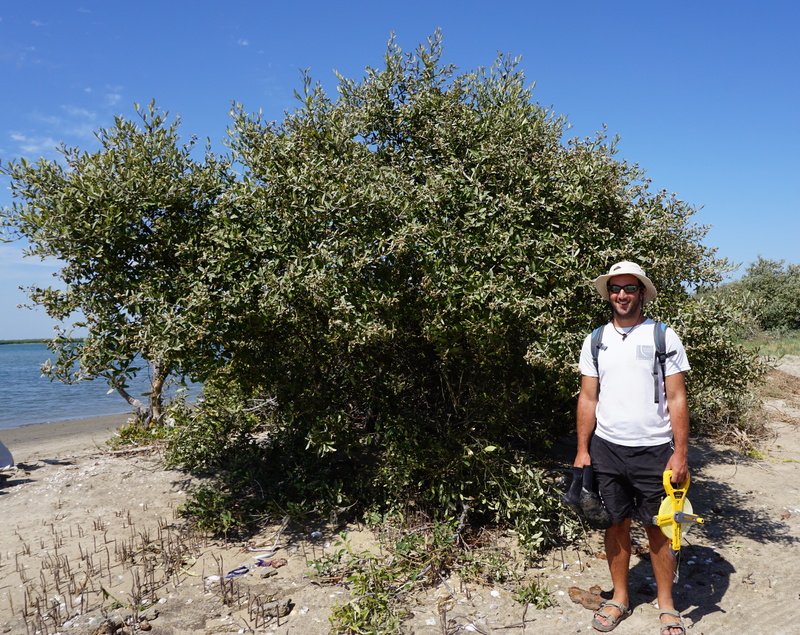 My Ph.D work focuses on studying shifts in mangroves habitats in response to climate change. We now see that in coastal wetlands near tropical-temperate transition zones, salt marshes have been displaced by a poleward expansion of mangrove trees. I am especially interested in the Northern Pacific coast range limit, currently occuring in Baja California, Mexico. We suspect that mangroves habitat reached Southern California under past warmer climate, and current climatic conditions in Southern California seem to be favorable to mangroves growth. My overarching goal is therefore to develop a method integrating experimental approaches, remote sensing, paleoecology and climate and distribution modeling in order to understand (1) the processes and environmental thresholds that currently control the range limits of mangroves, (2) how mangrove distributions have responded to past climate change, and (3) how mangroves will be impacted by climate change.